We were dicussing a junior level team (18 to 20 year olds), following a blow-out loss, and how they're coached. Or how they should be coached. More specifically, we were discussing how a coach should be judged. The angle he took, to some parents, would be enraging, but I can extrapolate it all the way to down to mites -- the kids under 8 years old -- and it's sound wisdom. "It's not about wins and losses," even at the U20 level. He talked about a coach at the junior level that we both mutually know that worked in this area a few years ago. His win/loss record was horrendous in consecutive seasons and he was subsequently relieved of duty. Fired, really. Yeah, even this far below the pro level, it's a ruthless business sometimes. Results matter. At the time, I was tickled since I found that coach to be a little pompous, arrogant, and flat out rude to folks like me that have been around for decades and were genuinely trying to help him. He was a classic, "I played pro so I know more than you ever will." Okay buddy, sure. You played in the UHL and WHA2. Those barely constitute pro hockey. I get it, though, you're a better hockey player than I am. Whatever. Anyway, putting my personal feelings towards him aside, during the conversation, I learned that he placed 20 of his 25 rostered players in an NCAA program. Terrible win/loss record, but successfully moved nearly every player up a level. So, while his spelling and grammer were that of a second grader, and his personality was that of a troll sometimes, err, always, I had a new found respect for him. I'd been viewing him as a fan would and was completely missing the mark on how good a coach he actually was. Having worked in the AHL for 20 seasons, I'm ashamed to admit I missed it. I've had thousands of conversations defending the line combos and/or coaching decisions that are made to fans of the AHL teams. 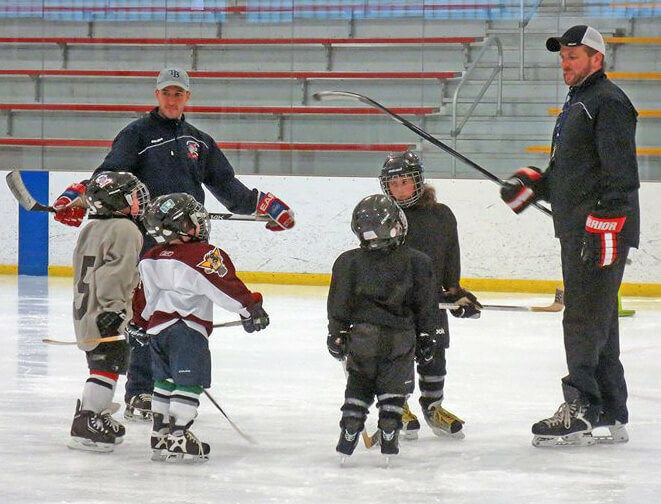 Winning is great, sure, but the primary focus of the coaching staffs in the American Hockey League is to prepare, develop, and advance players to their NHL affiliates. It's that simple. In the minor leagues, teams do NOT put their best players on the ice each night. I could argue that teams in the NHL don't do this either but that's a whole other topic. Point is -- winning comes second. That's why so-and-so was on the power play unit. That's why this point-per-game veteran is a healthy scratch. That's why that goalie is getting the starts in the playoffs. For passionate fans, who are always looking for wins, that's tough to grasp. Now, I was super excited to be part of a Calder Cup winning team but I can also guarantee that every single player on the ice that night would instantly trade that experience for 10 games at the NHL level. The best minor league programs aren't the ones that win championships. The best ones are the one that advance the most players to a higher level. The same rings true in junior hockey. And it should in youth hockey too. The players should be doing their very best to win. The coaches should be doing their very best to develop their players. So, the next time you think you kid's coach is a chump because they're not winning games, instead evaluate whether or not your kid became a better player during the season. All the coach should really be doing is preparing his players for the next level...not trophy hunting.